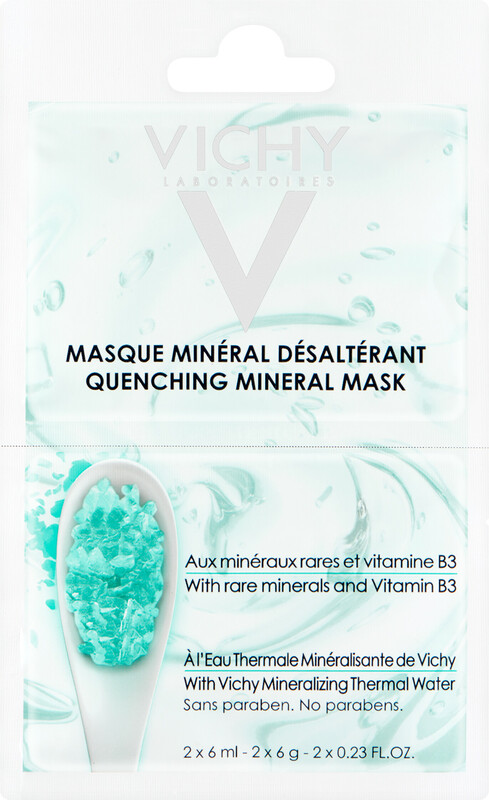 Vichy Quenching Mineral Mask is rated 4.3 out of 5 by 4. Rated 3 out of 5 by Sparklegirl from Disappointed I regularly use Vichy Aqualia moisturiser and love it. I was not particularly impressed with this. Whilst the mask is quite hydrating and refreshing, it leaves a sticky residue. Considering the instructions say not to rinse off, if you use as a mask you have to rinse due to the sticky feeling. You can massage in a light layer with no problem, but that is not a mask. I much prefer the cream formula that this replaced, much better texture and ease of use. Will not be buying again unfortunately. Rated 5 out of 5 by Magz62 from Great Product Highly recommend this product, I could feel the benefit from it within a week. Rated 4 out of 5 by beautyfan1 from A really good product My skin isn't particularly dry or dehydrated, so I can't comment on its effectiveness that way. However it leaves it feeling very refreshed and soft after using it. The fragrance is lovely, light and subtle with Vichy's added thermal water. I'll put mine in the fridge in the summer as it'll be lovely and cooling on a hot face. Because it's a gel, it is a bit sticky when it's on, and the instructions state to not wash it off which makes it a bit awkward if you want a quick boost to your skin before reapplying makeup if you're going out. Other than that, it is a really good product that I'll buy again.